What would a live-action version of the film “Akira” have been like? Warner Bros. has been trying to get the project underway since 2002, when it acquired the rights to the original 1988 animated film. Nevertheless, as of this writing it seems that the project has been shelved. The cancellation became particularly painful a few weeks ago, when concept artist Rodolfo Dimaggio released a collection of concept images he created for the proposed upcoming film. His conception of the world of Akira was strikingly beautiful – but of course, it was a motionless vision. What would Akira have looked like in motion? Six years ago, Kanye West gave us a chance to see a brief glimpse. In 2007, Kanye West released a music video for his hip hop single, “Stronger.” The song was West’s third number one single, and the music video was nominated for Video of the Year at the 2007 MTV Video Music Awards. I’m not writing about this because I like the song. Every now and then I’ll stumble across the video while looking at something else on the web, and it will always make me pause. I’ll stare at the imagery, caught in a miasma of conflicted longing for the live-action Akira film that his music video presents in tantalizing snippets. The video was made as a loving tribute to a classic animated film, and gives us a fleeting taste of what a modern Akira motion picture might be like. For those who haven’t had the pleasure, Akira is a series of Japanese manga (i.e. comics), written and illustrated by Katsuhiro Otomo and released in six volumes from 1982 to 1990. In 1988, Otomo adapted his own manga series into a lavish animated film, which he directed himself. The film stands today as an incredibly impressive example of what Japanese anime can accomplish. Akira features characters with expressive faces and fluid movements, a marvelously detailed futuristic city, and a cyberpunk story that works on a nightmarishly personal level, while also unfurling an epic science-fiction spectacle that builds steadily to a shattering climax. Watching Akira for the first time is an unforgettable experience. I was a kid when I saw the film on TV. I’d never imagined that animation could tell such a dark and ambitious story, and I was both appalled and fascinated as I watched the events unfold, sometimes with a raw honesty that I’d never seen in animation before, and sometimes with shocking detail that deeply surprised me. As it did with so many others, Akira fueled my subsequent enthusiasm for Japanese anime, opening up a new world of speculative storytelling that I hadn’t known existed. The musical score of Akira was composed by Shoji Yamashiro, and included some of the most weirdly original music I’d ever heard up to that point. The use of vocals particularly impressed me. From the rhythmic gasping voices of “The Battle Against Clown” to the unsettlingly childlike singers of “Dolls’ Polyphony” to the aggressively hypnotic chanting of “Mutation,” the musical score used human voices in a much more central role than I’d ever before heard in a film score. It gave the film a unique sonic quality that helped to accentuate the disturbingly otherworldly nature of the story it told. So, now let’s go back to Kanye West. When he released the video for “Stronger” in 2007, it included images that streaked like lightning through the brains of Akira fans. The gleaming white scanning machine… the motorcycle gang speeding by and leaving long bands of glowing red across the screen … the nurse in a green-tinted hallway… the group of policemen sent flying backwards… it was clear that the Akira reference was thoroughly deliberate. Here was the closest we’d gotten to a live-action Akira film, and those brief glimpses were maddeningly beautiful. A visual tribute to an animated film from the 1980s had turned into a fleeting glimpse of what a contemporary Akira movie might look like. 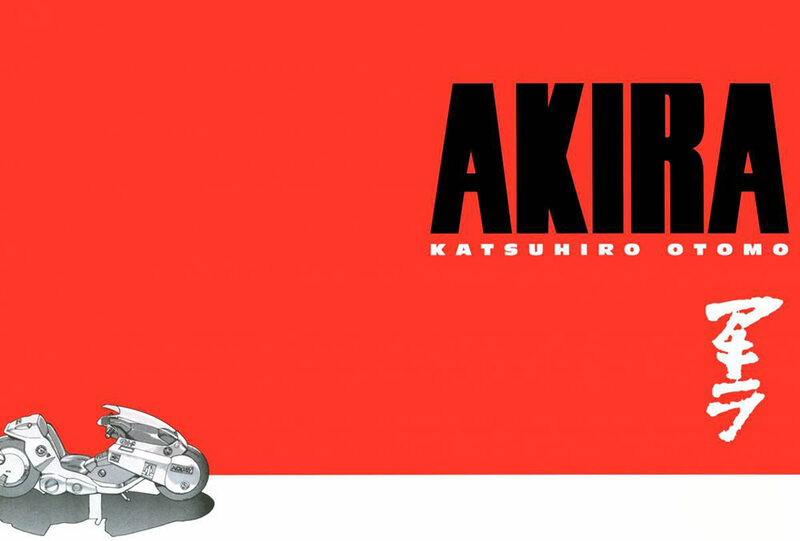 But should a live-action Akira film be made? The issue is highly controversial. Ever since Warner Bros. acquired the rights to the property in 2002, the problems kept mounting up. Could the movie be made with a multi-racial cast, or would the cast have to remain strictly Japanese, and what would that do to the film’s commercial prospects in the west? Also, could the film retain its anticipated R rating and still be able to recoup the enormous budget it would require? As of this writing, the production has been shut down… and I must admit, I wish they had found a way to work things out. I’m sure it would have been an unforgettable experience. This entry was posted in Anime, Music. Bookmark the permalink.